If a business owner wants to put a sign in his window, should he be allowed to put that sign there and exercise his right to advertise his business in a manner that’s not a public nuisance? 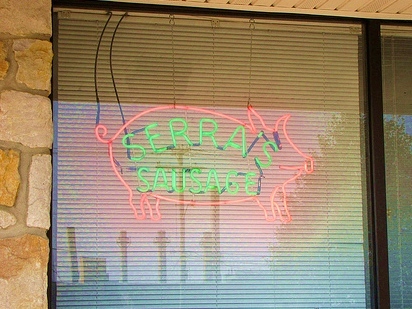 The city of Raleigh found out about one business’ use, or intended use, of an electric-powered sign placed in the window in order to attract attention to their real estate business. And the planning board of citizen advisors and planning department staff are now looking into the possibility of tightening up the sign laws. The placement of signs in the windows of a business is a practice long supported by free American business people for 250 years. And despite this history of free enterprise and exercising private property rights, council member Thomas Crowder has gone on record citing his desire to “make Raleigh more attractive”, mitigate the “safety risk if police cannot see within a business” and address lit signs that “are like the sun”. In other words, he’s making a case for regulating the type and amount of signage in a shop’s own windows. Mr. Crowder goes too far in citing these as valid reasons for writing the new regulations. Mr. Crowder, do you wish to regulate signs out next to the road right of way? Fine. Keep them, low, static and safe for drivers. It’s understandable to try and prevent the NC 17 and 24 effect that Jacksonville and the surrounding areas suffer, with so many billboards and lit signs. But you want to stop a shopowner from putting signs in the window of his store? Hands off our business. Government should stay out so long as it’s not a public nuisance or patently offensive. When you say people complain about signs that are “bright like the sun”, your hyperbole belies the fact that you know down deep you’re overreaching and need to resort to exaggeration and emotion to gain support for your regulation. The matter is expected to be presented to the Raleigh city council in one to two months. Should electronic window signs be considered OK in the city limits? Or are they the first step on the slippery slope of becoming “too Vegas”?